A power company has promised to explore putting cables underground after an Argyll village voiced its outrage at plans for nine new pylons running through it. Dalmally already has 29 existing pylons, and proposals by Scottish and Southern Energy Networks (SSEN) to install more were met with fury. 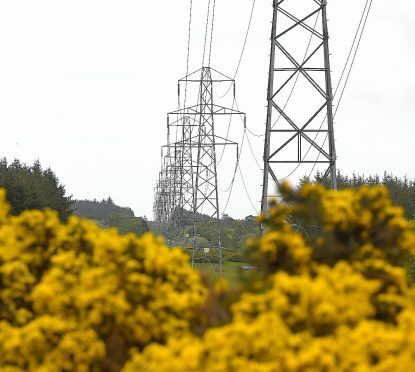 Under the North Argyll transmission project, 52 pylons would stretch along eight miles between the proposed new substation Creag Dhubh and the existing Dalmally substation by Loch Awe, near Oban. It was proposed that nine of the 150ft tall pylons would be in the village. Now that the consultation has closed, SSEN said it recognises the extent of strong feeling in the Dalmally area about the potential for new overhead transmission infrastructure. The firm said it is committed to explore undergrounding in places of particular local sensitivity, where it can be demonstrated to be technically and environmentally feasible, as well as economic to bills payers who will ultimately pay for the proposed reinforcement through their electricity bills. Project manager, Derek Hearns, said: “As we have already promised, we are committed to explore undergrounding, as proposed in January by Dalmally Community Council when we presented our initial cable feasibility study. Whilst we have ruled out the potential to go through Loch Awe due to a number of technical constraints, we continue to explore the feasibility of an underground land cable in areas of particular concern raised by the local community through the consultation.